The small and unassuming town of Tulum has been given a distinct designation. It is regularly ranked among the Top 10 beaches in the world. Its prime location, at the southern tip of the incredible Riviera Maya, may soon boast an international airport. The necessary infrastructure is already beginning to take form. Soon the vacation destination of Playa del Carmen, just 40 minutes away, will welcome a new resort neighbor to the south. "3 Bedrooms with rooftop sundeck"
"2 Story, 2 bedroom living"
"Only 10 minutes to the beach"
"Live the dream, live in Tulum!" "Fully Furnished with designer furniture"
"Private, secure and near the beach"
"Unique 2 & 3 level design"
"As best as it gets!" "In a gated community near the beach"
"275 Hectars with 1000 meters highway frontage"
"275 Hectarias con 1000 metro de fronte"
Early in the 1990s, Playa del Carmen was a small fishing village down a dirt road from the growing resort city of Cancun. The luxurious hotels, uniquely styled boutiques, world-class cuisine and shopping seen in Cancun are now not limited to this cosmopolitan neighbor. Visitors from around the world enjoy the charm and diversity of Playa. The main street, famously known as Fifth Avenue, is a pedestrian walkway with shops, boutiques, restaurants and bars. These days, Playa is a very hip town with a distinct and international flavor. 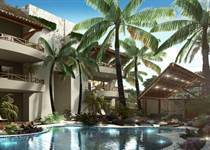 The real estate offerings span cozy living in town, beachfront condos and luxurious homes. This is a great place to vacation and hang out. Those fortunate enough to call this place home have paid a premium for it. 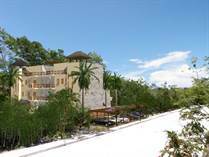 A small beachfront condo is priced at the half-million mark. Time to find the next Playa? Investors are already on the path to Tulum. Tulum's beaches and crystal blue waters are unmatched in beauty and tranquility. Now the town has a fairly nondescript main street, beachfront boutique hotels and bars, and a variety of popular spas. It remains surrounded by jungle. The southernmost tip is on the border of the Sian Ka'an Biosphere Reserve, which spans 1.6 million acres. TripAdvisor's 30 million readers rank the pristine stretch of beach in Tulum as the #2 beach destination worldwide. Just like Playa del Carmen a decade ago, Tulum is set to boom, while differentiating itself from Playa. There are already strict density and environmental regulations in place to preserve its ecology and natural beauty. The growth of Playa makes it appear to burst at the seams. 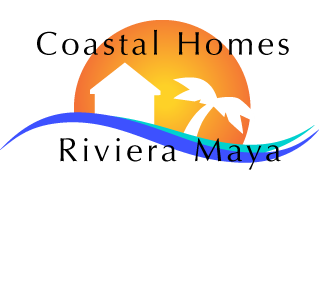 The beachfront development nears build-out, Playacar designates a city boundary to the south, and local homesteads to the north are being replaced with resorts and condominiums, spreading development into the jungle to the west. Real estate prices have appreciated considerably. Those with a vision toward the future have recognized the value and potential of Tulum. The beaches are better and the prices are lower. Development will be focused. 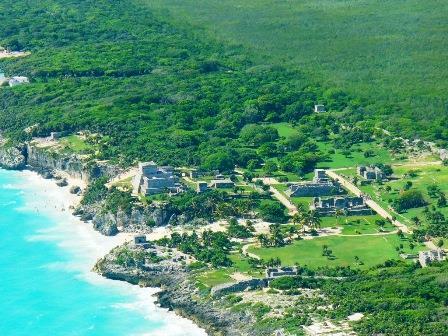 The Sian Ka'an biosphere will guarantee the protection of Tulum's southern land. The supply is limited so demand will soon soar. of living in this extraordinary place.